The EC2 area is often described as the financial core of the City of London. With three times as many people working in the area than living there, EC2 has a contrasting feel between the hectic business daytime and the – in comparison - deserted night-time. Aside from the office blocks and corporate atmosphere, EC2 has a fusion of architecture with historic buildings such as the Bank of England but also some of London’s tallest skyscrapers. The small area which is often referred to as ‘the square mile’ still manages to have a reputation as an influential and exciting part of the capital. North of the River Thames, EC2 has always been a bustling hub for trade and business. Going back as far as the 17th century, merchants came together in this area to create guilds to regulate their professions. You can still visit the streets where many companies began today, only perhaps with a more modern feel of the corporate world. A lot of historic buildings still survive in London’s EC2, such as London’s Guildhall, built between 1411 and 1440, which is one of the main landmarks of this zone, with , it’s incredible medieval construction which still astonishes visitors today. Keeping with its illustrious history, London’s Guildhall continues to be used for banquets and events held by a range of professionals, academics and royals. Amongst this dense area of London, a short walk from the Guildhall is the Museum of London. Opened by Queen Elizabeth II in 1976, the Museum of London is the world's largest urban history museum caring for more than two million historical objects; it recently underwent a £20 million refurbishment. Another building worth a look is the Barbican Estate which was built during the 1960’s and 1970’s in an area previously devastated by World War II bombings. The Barbican complex	is now Grade II listed as a prime example of British brutalist architecture. Whilst bursting with industry, like any part of a vibrant city centre, the EC2 area also offers plenty of culture and character. First of all, EC2 has many options for entertainment and leisure: the Barbican complex now includes Europe’s largest arts centre which displays an assortment of art, performance, film and creative learning. EC2 is also home to the London Symphony Orchestra. When it comes to dining, EC2 bursts with exquisite places, such as Michelin star Chef Jason Atherton’s, much anticipated restaurant City Social, which will open on the 24th floor of Tower 42 this year. Tower 42, also known as the NatWest Tower, is one of the tallest buildings of the City, with a height of 183 metres (600 feet). If you climb all the way up there make sure to go up to Vertigo, a champagne bar with beautiful views of Central London’s skyline. With the whole EC2 area only spanning approximately a mile’s square radius, it is only a short distance to other main tourist attractions, including the Tower of London and the London Bridge. Still, when wishing to travel further out into the other boroughs of London, EC2 offers a good range of transport options, which is an excellent feature of this prime location. Indeed, there are four tube stations within the EC2 postal code area and many other stations in the vicinity. 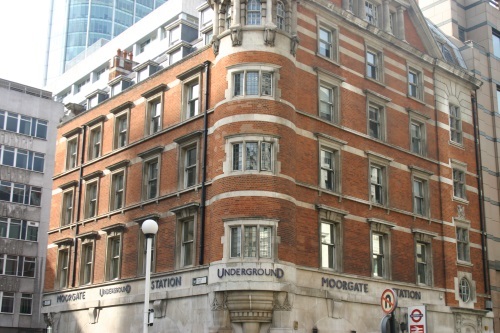 Buses are also an easy way to get around, with 10 bus routes running through Moorgate station in EC2. A mix of properties are available in the EC2 area, from modern apartments to trendy warehouse conversions with Victorian character and modern design. At base we regularly have fantastic homes available within the EC2 postcode. Examples of EC2 property can be found in our featured developments	section, such as Victoria Chambers in Shoreditch, a Victorian Mansion block converted into 21 apartments, all with original features such as exposed brick walls, iron fireplaces and large sash windows. To take a look at more listings and types of accommodation that we currently have for rental or sale, browse our website, call us on 020 7033 1901, or pop into our Shoreditch office.